GALION — The Galion Tigers will see plenty of action at the district swim meet Friday at the Bowling Green State University campus. 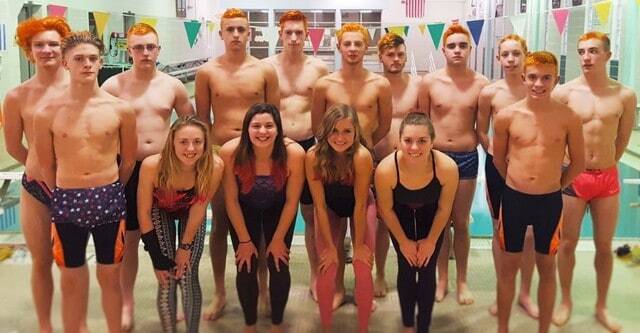 Galion will send 15 swimmers up north who hope to land spots in the state meet next week in Canton. Galion will have two girls competing in individual events and will have two relay teams in the water. Making the trip are Bri Wallis, Allison DeNero, Sari Conner and Elise Barnhart. Wallis finished fifth overall in the 500-yard freestyle in the sectional tournament last weekend at Malabar Middle School with a time of 5:58.32. That time lands her as the No. 24 seed at the district meet. Wallis will also be competing in the 100-yard backstroke after her third place finish at sectionals. Her time of 1:07.19 puts her as the No. 18 overall seed at districts. DeNero will be in two individual events as well for the Tigers. DeNero earned a third place finish at sectionals in the 200-yard individual medley (2:24.67) and will enter Friday as the No. 8 seed. She also swam her way to a sixth overall finish in the 100-yard freestyle race with a time of 58.74 to qualify for the meet in Bowling Green as the No. 20 seed. The 200-yard medley relay team of Wallis, Conner, DeNero and Barnhart will be in action on Friday afternoon after finishing fifth at sectionals in a time of 2:05.50. This group enters districts as the No. 23 seeded team. In the 200-yard freestyle relay, Wallis, Barnhart, Conner and DeNero will enter as the No. 18 seed after taking fourth at sectionals in 1:49.73. The Tigers’ boys squad has 11 swimmers ready to compete: Eli Skaggs, Sam Rigdon, Caleb Strack, Ben Alstadt, Landon and Weston Rose, Clay Karnes, Alec Dicus, Lucas Conner, Braxton Tate and Luke Eisnaugle. Galion was the team sectionals champion last Saturday in Mansfield, scoring 418 total points. Skaggs was one of two individual race champions for the Tigers, winning the 50-yard freestyle in 22.50. He is the No. 4 seed. Skaggs also finished as the runner-up in the 100-yard freestyle (49.61) to qualify as the No. 5 seed. Rigdon will join Skaggs in both freestyle events. Rigdon finished fourth in both the 50- and 100- freestyle events in 23.14 and 51.76, respectively. He will enter the 50-free as the No. 12 seed and the 100-free as the No. 11 seed at districts. Strack will be the third of four Tigers competing in the 50-free after finishing ninth at sectionals in 24.00. On Friday, Strack will enter the event as the No. 23 seed. Strack will also be the first of two Galion swimmers in the 100-yard backstroke. Last Saturday he finished third in the event (59.28) and will be the No. 7 seed at districts. Alstadt qualified for districts in the 50-free (24.29) with a tenth place finish and will be a No. 27 seed Friday. In the 100-backstroke, Alstadt swam a time of 1:02.71 to finish seventh at sectionals and earn a No. 15 seed for districts. Landon and Weston Rose will compete in the 100- and 200-yard freestyle events at Bowling Green. Landon Rose finished eighth and fifth, respectively with times of 53.20 and 1:58.21. Landon Rose enters districts seeded No. 22 in both events. W.Rose earned 11th and sixth place last Saturday (54.38 and 2:01.82) to go into districts as the No. 30 and 32 seed, respectively. Karnes will also be in the 200-free after a fourth place finish at sectionals (1:56.87), earning him a No. 15 seed in the event. Karnes was the second individual race champion for Galion last weekend, taking the crown in the 500-yard freestyle with a time of 5:11.36. That time earns Karnes a No. 5 overall seed on Friday. Dicus took third at sectionals in the 100-yard butterfly (1:02.36) to earn a No. 26 seed at districts. Dicus finished as the runner-up behind Karnes in the 500-free (5:13.50) and will be the No. 8 seed in Bowling Green. Conner and Tate will join Karnes and Dicus in the 500-free at districts. Conner swam to a fifth place finish in Mansfield (5:37.07) to earn a No. 26 seed and Tate finished eighth (5:41.80) to grab the No. 31 seed on Friday. Eisnaugle will be the No. 17 seed at districts after a fourth place finish at sectionals in the 200-yard individual medley (2:18.33). Eisnaugle finished in sixth place in the 100-yard breaststroke (1:11.27) last weekend to qualify for districts as the No. 30 overall seed. Strack, Rigdon, Karnes and Skaggs were the sectional champions in the 200-yard medley relay at Malabar with a time of 1:44.34. That time lands them the No. 5 overall seed on Friday. In the 200-yard freestyle relay, the team of Rigdon, Landon Rose, Karnes and Skaggs will be the No. 7 seed after a runner-up finish last Saturday (1:34.20). In the final event, the 400-yard freestyle relay, Strack, Landon Rose, Weston Rose and Conner will take to the water as the No. 9 seed after last week’s fourth place finish (3:37.75). The top two swimmers at the district meet earn automatic bids to the state tournament in Canton. The at-large bids should be finalized by Sunday, Feb. 19. Results from the district meet will be online at galioninquirer.com e as soon as they are available and will be in print in next Wednesday’s edition of the paper. Updates on the meet can be found on Twitter @GalionSportsGuy.